*Disclaimer: This post was sponsored by Ragnar Relay through my partnership with Fit Approach. I was also provided with free product from WIN Detergent, Goodr, and Lily Trotters. All opinions expressed here are my own. 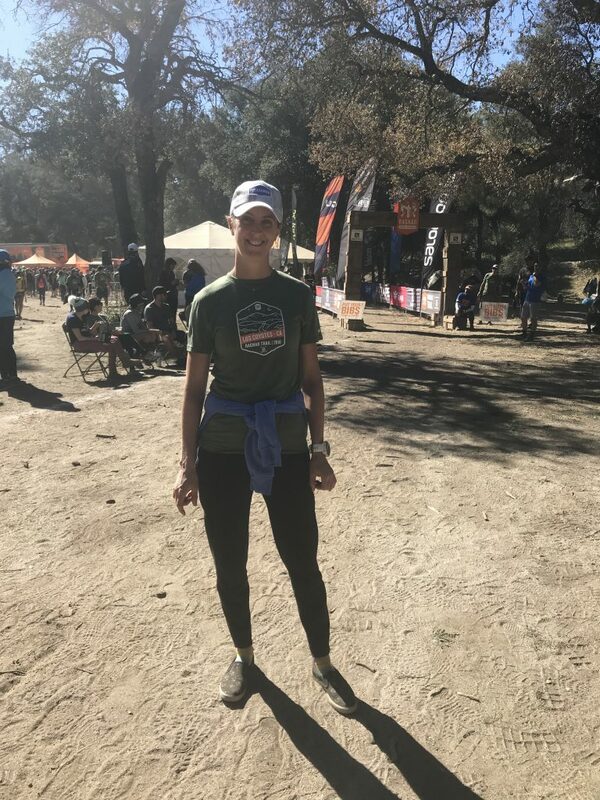 Last weekend I hopped an airplane escaping the cold (and now snowy) New Hampshire for sunny California and the Los Coyotes Ragnar Trail Relay in Warner Springs, California (near San Diego). 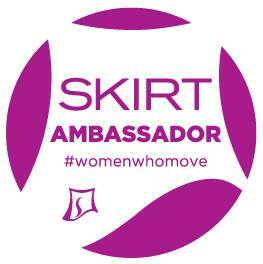 I was invited to come out and join Team Sweatpink for this cool running adventure. 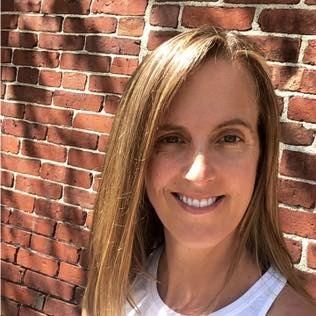 I have done many relay races including Reach The Beach New Hampshire (now a Ragnar Relay) and the Vermont 100 on 100 Relay but this was my first trail relay so I wasn’t totally sure what to expect. Traveling is not my forte, I don’t do it often so there was some anxiety associated with the trip. Thankfully everything went off with a hitch and I was able to safely navigate my way to the Los Coyotes Indian Reservation for the race. I wasn’t quite sure how I would find my team but as I pulled in I saw Jamie (leader of Fit Approach and Sweatpink). She informed me that our tents were set up by the giant noses in the tree (???? What????). Seriously, there were giant noses in the trees by our tents. I parked and grabbed my bag hoping I had packed the right gear for the race. It was warm and sunny but the Santa Ana winds were blowing making it a little cool at times. 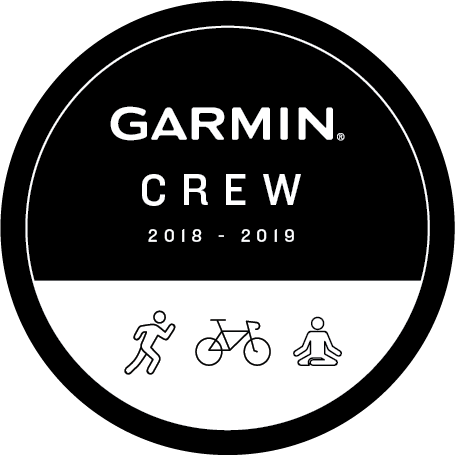 I quickly met all of my team members, some who I knew from other fun running and blogging events and some who I only knew through the square world on Instagram. 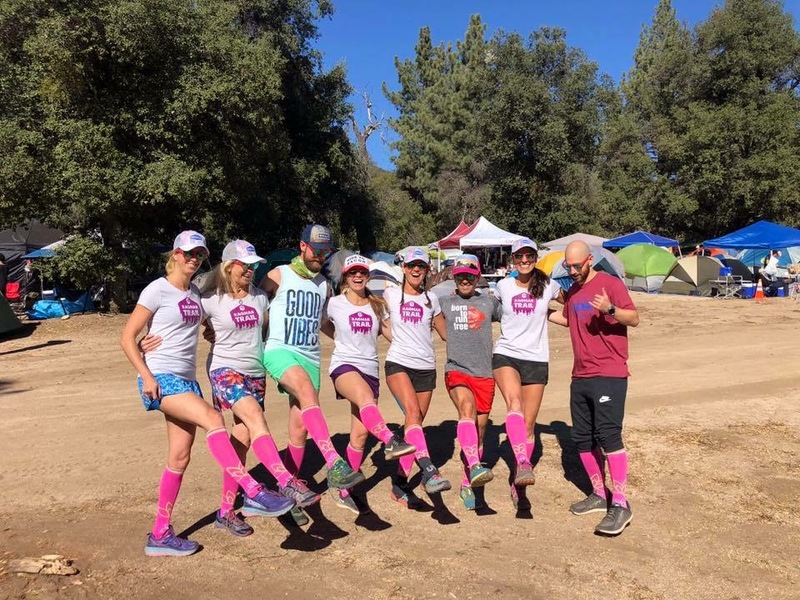 We had 5 women and 3 men on our team and many ultra runners including Sean who had recently completed a race that was 200+ miles . . . say what????. We started at 11 a.m. with Kristina up first. My first loop wouldn’t start until later. Unlike a road Ragnar Relay everyone runs the same 3 loops in different order. I lucked out and had the hardest, the red loop which was 7.9 miles first followed by the yellow which was 3.2 miles, then the green which was also marked as 3.1 miles. 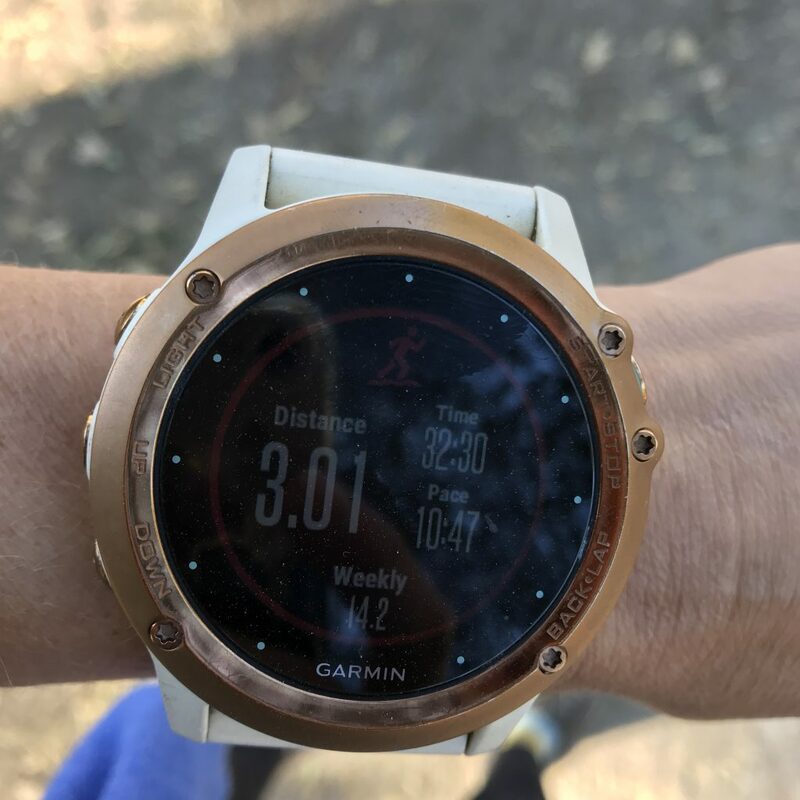 The tricky part about racing a Ragnar Trail vs. a Road Ragnar is that it can be a bit harder to track your runner because you are not following them in a van so every run is going by estimated time of finishing the loop. The terrain for the loops was mostly single track trails and very sandy/dusty which could be slippery underfoot at times. The Red and yellow loops had some overlap at the start so both began with some pretty good climbing. Waffles, Waffles and more Waffles! Since I had some time before I ran I made sure to get some fuel in my belly. 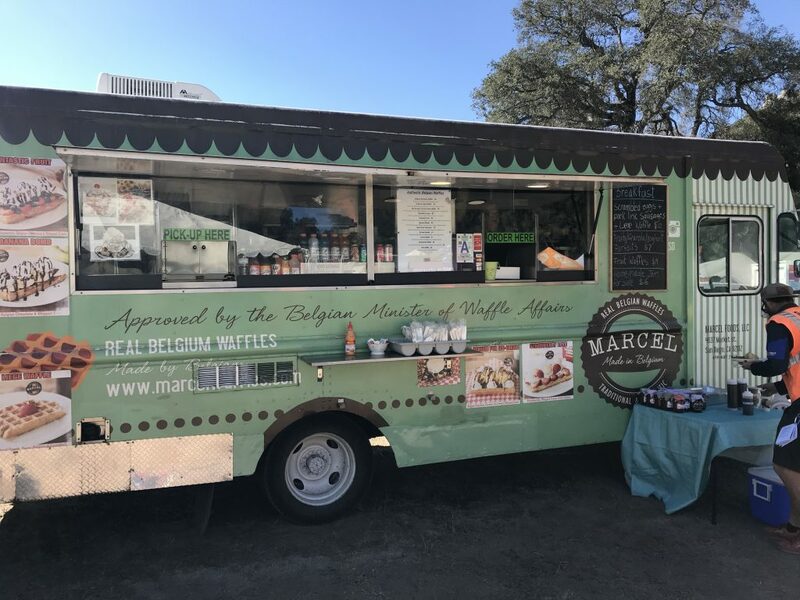 The Ragnar Village was filled with awesome food trucks including one that made waffles of all different varieties. 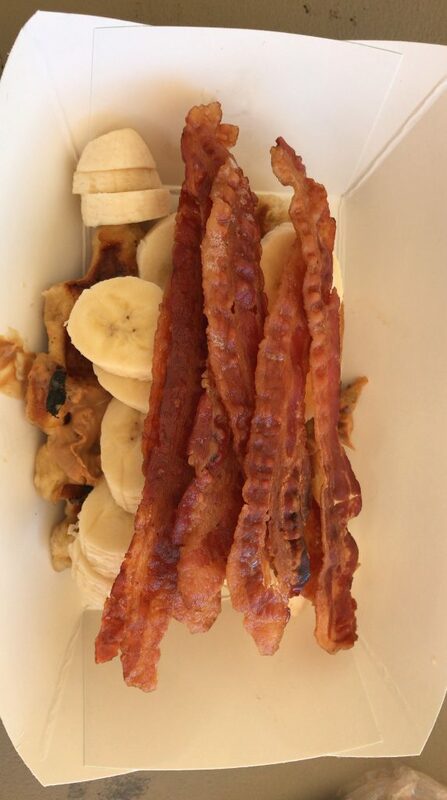 I knew that I needed a meal packed with protein and carbs so I went for it and got “The Elvis” which was waffles with peanut butter, bananas, and bacon!!! Yes please! I devoured this, just ask Debbie. I had a bit of a migraine coming on so I also took a little time to rest with my eyes closed (I think it was from all of the traveling and perhaps some dehydration). Thankfully the food, water and a little downtime got me back up to speed and the headache subsided! 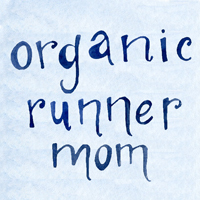 Read all about @organicrunmom’s adventures with team #SweatPink at Los Coyotes @RagnarTrail! When it was time for my first loop it was still warm out and the sun was still up (phew!). Jenny (Runny Legs) handed off to me. What I noticed immediately was how hard I was breathing. I don’t know if it was the elevation or the dust but I felt like I was working extra hard to breathe. The climbing on the Red loop was significant requiring power hiking in some parts. The elevation gain for this loop was 1752 feet!! the distance was 7.9 miles. Finally after about 3.5 to 4 miles we moved out onto some open dirt road and some sweet downhill with sweeping views. 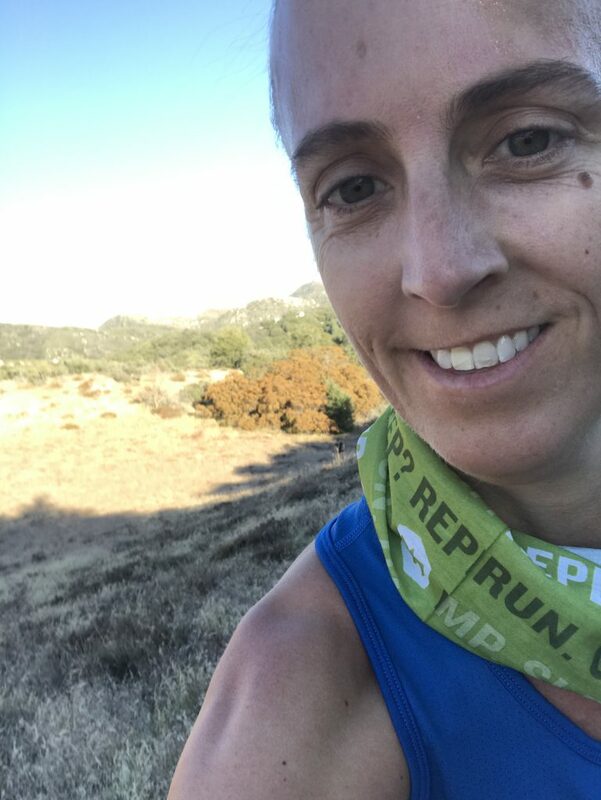 This part was such fun as you could just cruise, so I let my legs pick up speed (my quads may have been feeling this later).At around mile 5 we jumped back onto winding single track and there was some more climbing to be had! 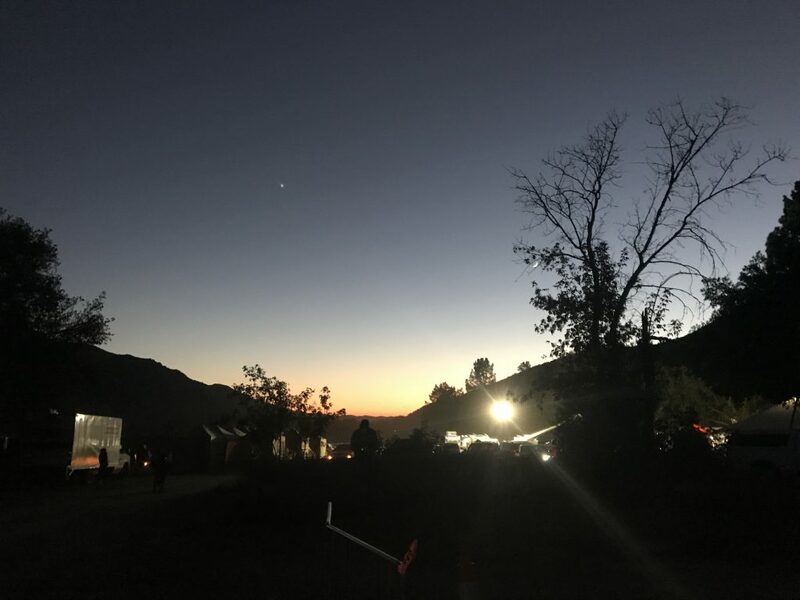 The last mile or so was kind of rolling and finally the tents and the sounds of the teams in the Ragnar village began to come into view. 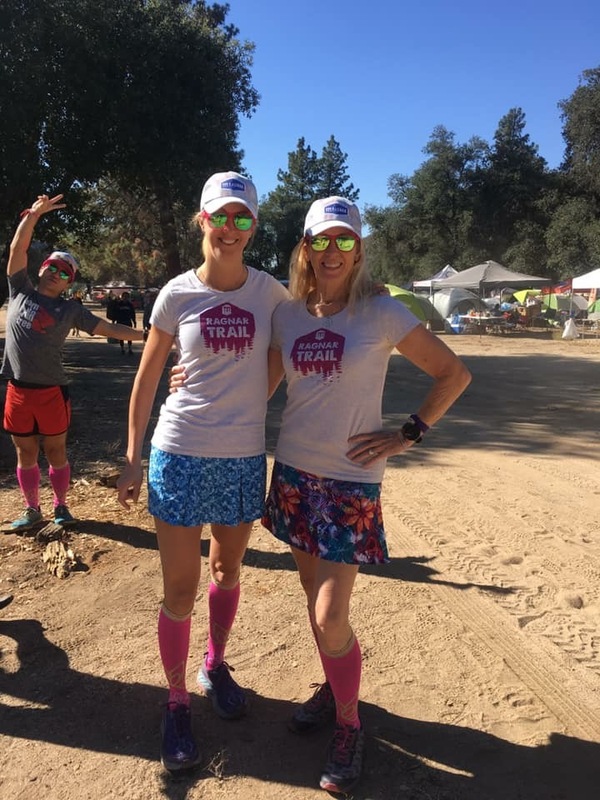 When I came into the finish my teammate Debbie was nowhere to be seen in the exchange area. Apparently the timing monitors weren’t working so my teammates didn’t know I was coming through. 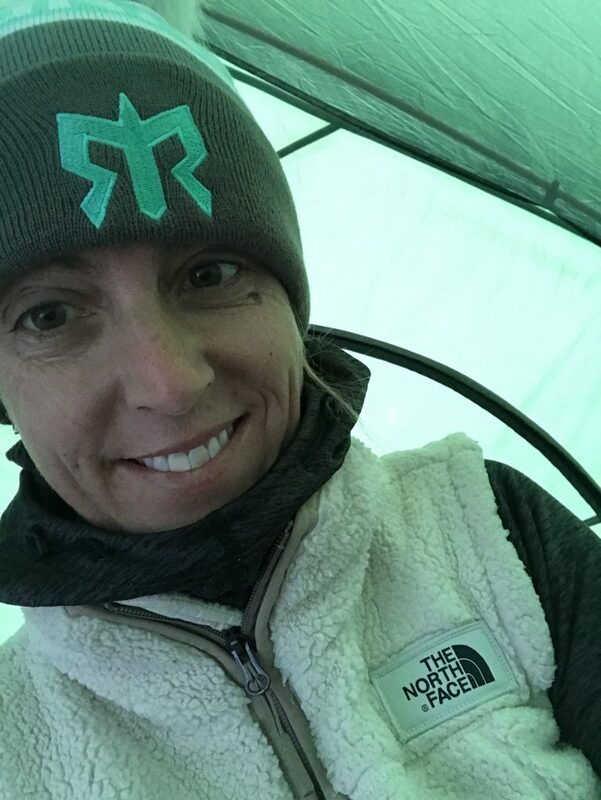 I finally peeked my head out of the tent and spied my teammates and quickly got Debbie all set with our race number and into the exchange area ready to go. After I finished I was so sweaty and the sun had begun to set and the temperature was dropping so I quickly went to change and warm up. As the sun set it started to get very cold. I was happy that I had brought so many layers but still needed one more extra warm hat (check! purchased from Ragnar) and longed for warmer socks. The one thing that I had a super hard time keeping warm were my toes and I wished I had thought to have brought wool socks and hand warmers. 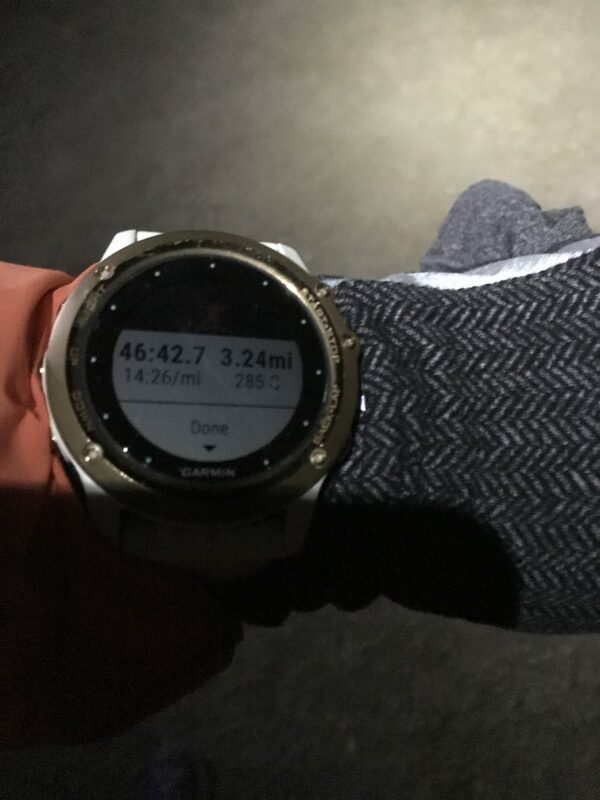 As time approached for my run of the yellow loop it had gotten dark and the temperature had dropped into the 20’s (Say what???). We were all trying so hard to stay warm. I spent some time before running trying to sleep in one of our tents since I was on East Coast time. It was definitely not the most restful sleep as I was having a hard time staying warm. Finally Jamie came and got me and alerted me that I would need to get ready to run fairly soon. I sadly ditched my layers and headed over closer to the transition area where there were tiny propane heaters set up. 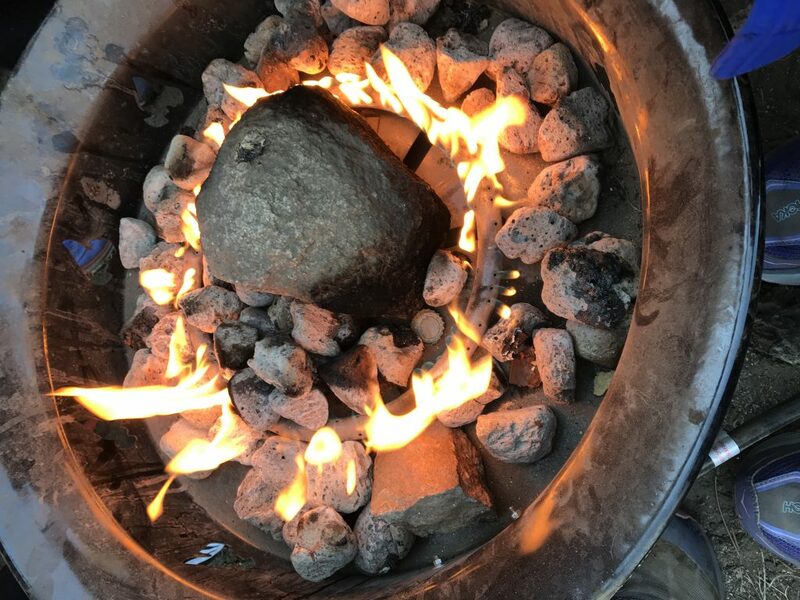 Due to the fire danger there were no bonfires. The propane heaters definitely did not warm things up much, just gave the illusion of being warm. We must have all looked funny huddled around them as close as possible. While I was sitting around the heater someone allowed as how one of their runners had just seen a bobcat on the yellow loop. I definitely did not want to encounter any wildlife in the dark. My next loop was 3.2 miles. It was dark so I had my headlamp ready with an extra one in my pocket just in case of battery malfunction. Finally it was time to run again. Jenny handed off to me and looked cold despite just having run. I was glad for the warmth of my running hat, windbreaker, gloves, and long tights. 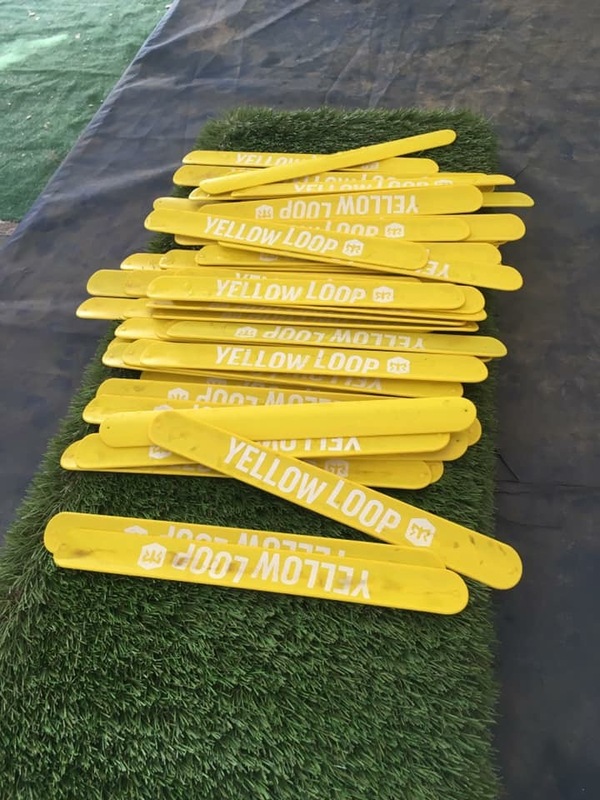 This loop follows the red loop at the beginning. The dark and dusty trails were somewhat disorienting as you could see the dust particles in the light of the headlamp. Despite this I was focused on my foot strikes as the footing can be tricky in the dark. There was climbing (853 ft of total elevation gain) at the beginning and then the two trails split at some point. I loved seeing the bobbing headlamps in front of me as other runners pressed on because this gave me something to focus on and to chase! Running in the dark always passes quickly even when I had the occasional thought of encountering a bobcat . . . 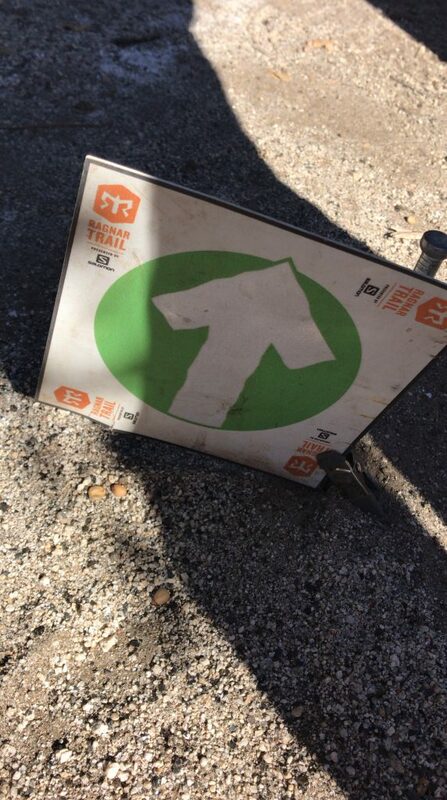 Eventually this run meet back up with the green loop to come back into the campsite and into the exchange. This time Debbie was there and waiting and ready for the handoff. Again the mission was to get changed and warm once I had finished. I stripped off all layers except my running tights having only packed one pair (next time I might pack two in case of cold). I used my Epic Wipes to attempt to clean myself of sweat and dust and then bundled up in all of my layers again. After Debbie finished we grabbed our meal tickets (thank you Ragnar) and headed to the food trucks to get some dinner. Debbie being vegan had fewer options. I opted for the Italian food truck because the line was the shortest and it seemed to be fast. I got a heaping warm plate of Rigatoni with grated parmesan on top which at the time tasted like heaven. We ate and then headed back to camp to try to get some more sleep and to get warm. The cold definitely impacted the amount of time that I spent with my other teammates which was too bad. It was just so hard to get warm. All bundled up in the tent. Somehow I managed to fall asleep and sleep pretty well in between these two loops. When I woke up however my feet were so cold (again, next time pack wool socks!)! Even with the sun coming up I was worried that it would still be cold so I decided to keep on my Skirt Sports Triple Pocket Tights instead of putting on a skirt. I may have ended up a little bit warm on this leg but I definitely was not complaining. This leg had 600 feet of elevation gain and was 3.1 miles. thankfully it was daylight again so I could ditch the headlamp. I wanted to get out a bit faster on this run but when I started running after the handoff with Jenny my feet felt like blocks of ice. It took a few minutes for them to warm up and to be more comfortable. I was also definitely feeling the fatigue from the other legs and being so cold had tightened me up. I was able to continue passing runners on this leg which was great. Even though this was the easiest loop the climbing was still no joke. But this loop didn’t require any power hiking. This loop passed in a flash and before I knew it I was done with my running for a total 14.2 miles for the relay. It was time to celebrate with some more food! There was a great wood fired oven pizza food truck where I was able to get a yummy artichoke, tomato, and basil pizza. Perfect refuel and our team had another free meal ticket thanks to Ragnar Relay! At this point I regrouped with my team, did some packing up and waited for our final runners to come in. Sean was our team anchor and his finish on his final leg brought our team in finishing in 24 hours and 35 minutes! Incredibly our time placed us 10th out of mixed teams!!! 10th place out of 118 mixed teams!!!! Overall the Los Coyotes Ragnar Relay was an awesome experience. Our team worked well together and we all ran our hardest. The toughest part of the race was the cold which I had not expected. Despite the cold we all made the best of it and ran well! 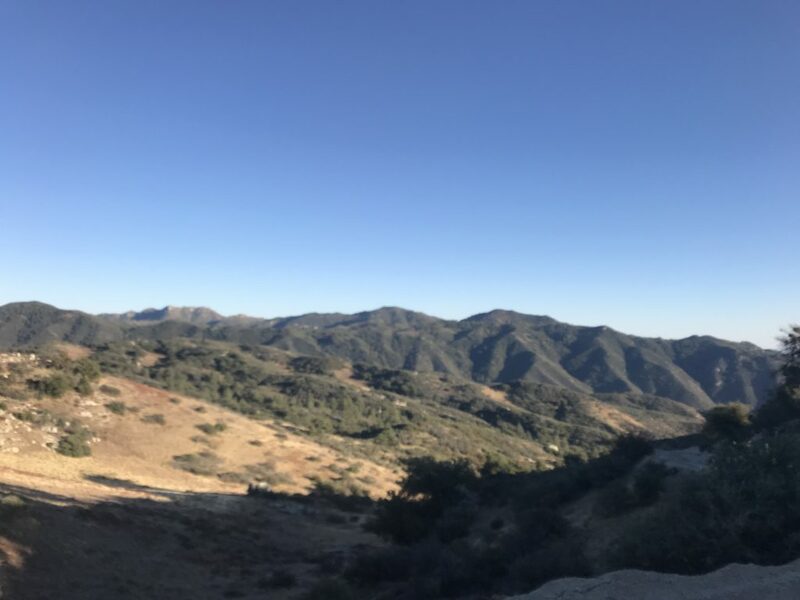 The scenery on the trails was gorgeous and I loved the challenge of the different loops. Camping out was fun and there was no lack of good food to eat with all of the Food Trucks on site. When all was said and done we grouped up for team photos and medal photos and then said our goodbyes. 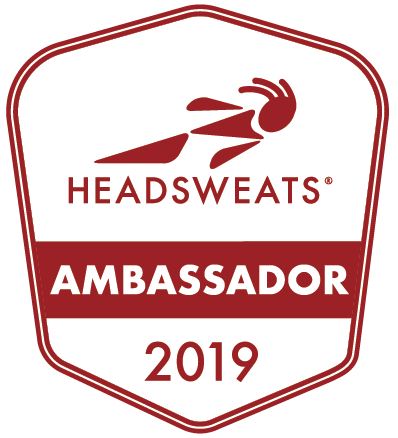 I would definitely run with Team Sweatpink again if I ever had the opportunity and was really thankful for being asked to be a part of this experience. It was so great to run with such an inspiring group of runners. I am also already scheming as to when I can run my next Ragnar Trail Relay. 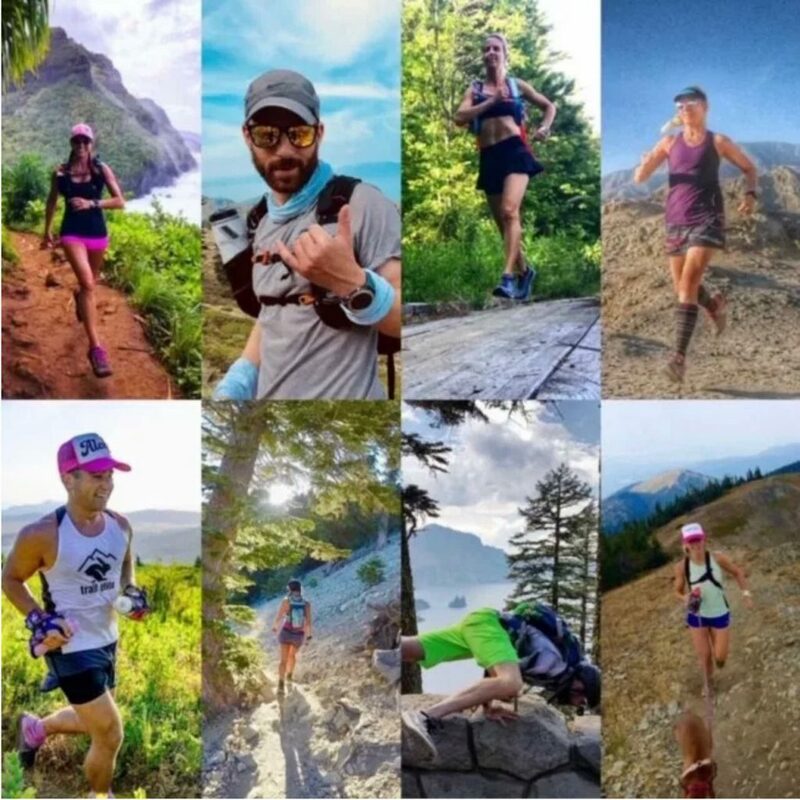 There is one in Vermont this summer at Ascutney Mountain and I may already have 4 other runners ready and eager to take on this adventure with me! The stinkiest souvenir from my trip was my sweaty, dusty laundry. Nothing worse than days old sweaty laundry and this had the added dust from the California desert to wash out. 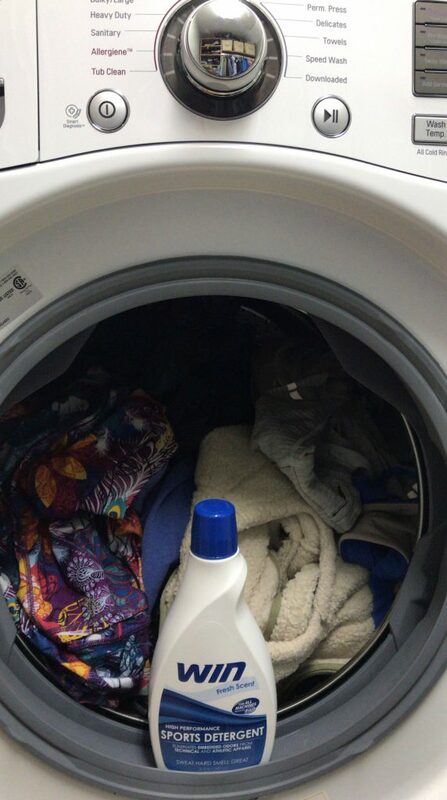 Thankfully I have WIN detergent to help with this kind of problem. Workout clothing wicks away moisture but with this happening your clothing also attracts oils. Bacteria are attracted to these oils left in your running gear which makes it extra smelly! WIN Detergent has active ingredients gets rid of those oils and bacteria . . .YAY!!! So along with getting rid of oils and bacteria that cause smells your running clothes get extra clean too! You will win when you clean your running clothes with @WINdetergent. Read my post to find out how to save! Now you can try WIN detergent. Save 30%! Use the code WINSWPNK when you purchase WIN Detergent on Amazon! 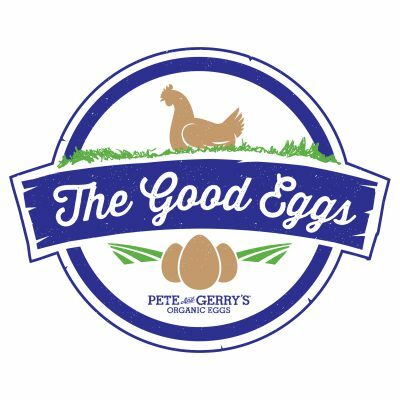 This code is good through November 30, 2018. 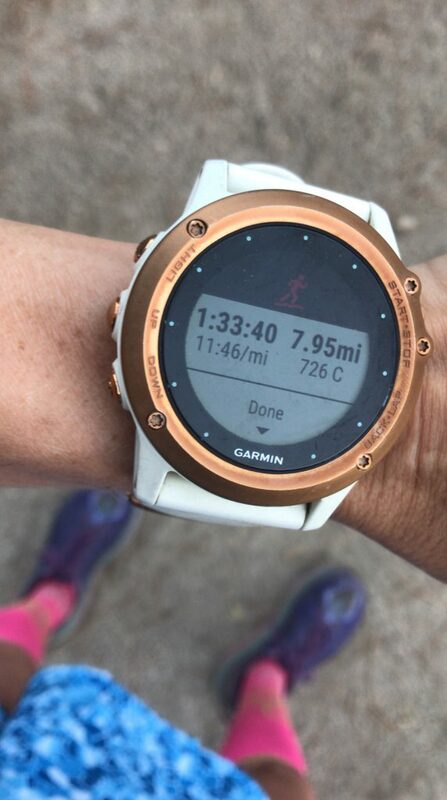 This would make a great stocking stuffer for the runner in your life! 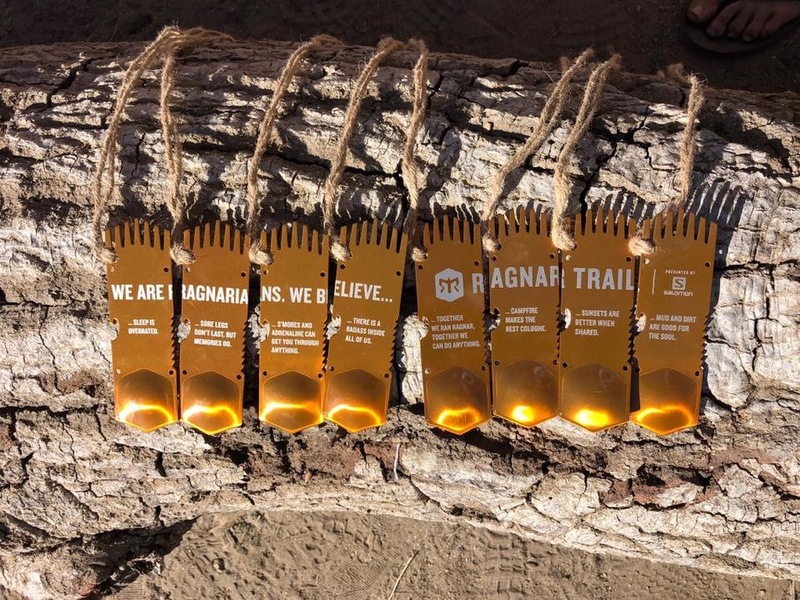 Have you ever run a Ragnar Trail Relay? Who would be on your team? Great recap! I’m still working on mine but I loved getting the refresher from your point of view. It was so much fun getting to spend time with you. We were lucky to have such an awesome team! 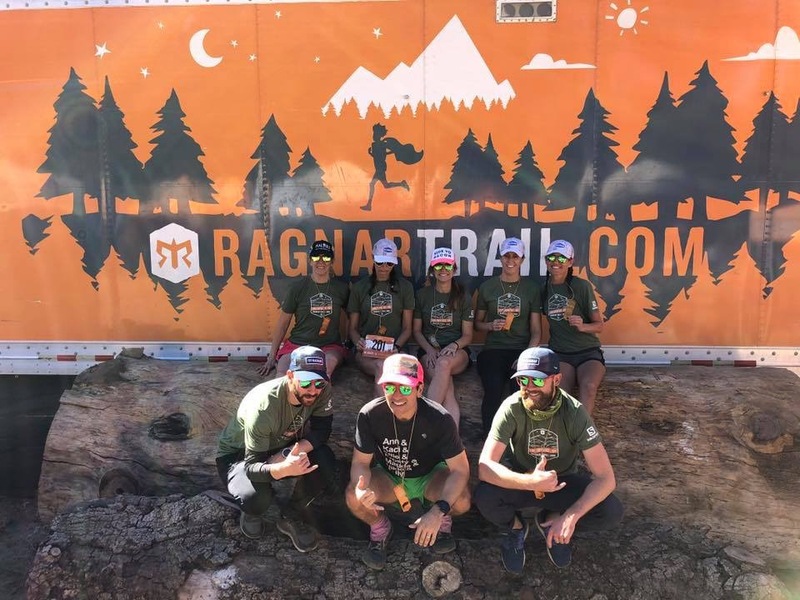 I have not done a trail Ragnar and this was a great recap of how they differ. I am still a little afraid of running on trails especially at night. That “The Elvis” looks absolutely amazing. My mouth is watering just by looking at it.